Oh my heart was blessed today. I walked into our ‘library’, (I know that sounds pretentious, but it’s really just the formal dining room. We don’t formally dine so we turned it into a library of sorts.) and my saw a precious site. 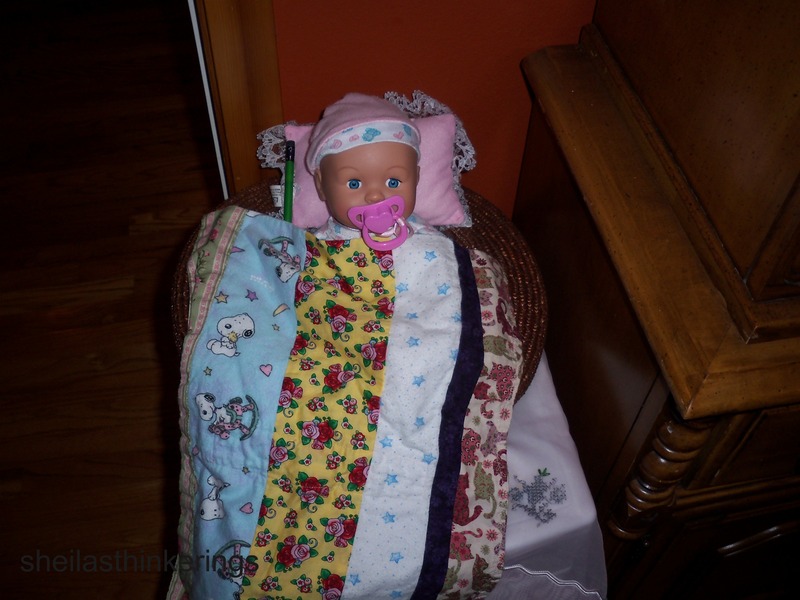 My girl, my dear sweet girl she made a bed for her Baby Doll. With a special handmade quilt, pillow and a binky. This entry was posted in Blog 365, Family. Bookmark the permalink.